Christmas is a time for focusing on your loved ones and spending some time relaxing together before the start of a new year. So often, though, it can end up being a period of great stress and expense. So, what if you could opt out this year and take your loved ones somewhere that everyone’s every need will be taken care of without you even having to lift a finger? Imagine spending the Christmas period lounging on the sundeck of a luxurious cruise ship instead of peeling seemingly endless piles of vegetables, ordering another glass of prosecco instead of mediating fights between the kids. Next Christmas, it doesn’t need to just be in your imagination, simply book one of our All-Inclusive Christmas and New Year in the Canaries cruise deals. We’re delighted to be able to offer you this amazing deal on a truly indulgent Christmas and New Year holiday that will leave you feeling rested and refreshed. Starting in Barcelona, this premium 11-night cruise has been designed with your comfort and enjoyment in mind. After spending Christmas in the beautiful Moroccan city of Casablanca, you will enjoy a stunning cruise around the Canary Islands on the beautiful Norwegian Spirit. Port days spent exploring the islands or lounging on sandy beaches will be interspersed with long days at sea, perfect for enjoying all that the ship has to offer. From just £1,399 per person, this wonderful all-inclusive adventure could even end up costing you less than a Christmas at home! Not only is the price of the cruise amazing, but it gets even better when you realise that it’s truly all inclusive, even tips! If you want a totally fuss-free Christmas that is guaranteed to be fun for all the family, this holiday is the perfect getaway for you. Christmas in a foreign country can be an amazing experience, especially if you have only ever spent it in a grey and rainy Britain. Your first stop on this cruise, after you have embarked from Barcelona, will be the beautiful city of Casablanca, Morocco, where you will spend Christmas day. Less touristy than other Moroccan cities, Casablanca is a fascinating mixture of French colonial legacy and traditional Arab culture. Art deco buildings sit alongside stone medina alleyways in this city that just begs for you to get lost in its winding streets. 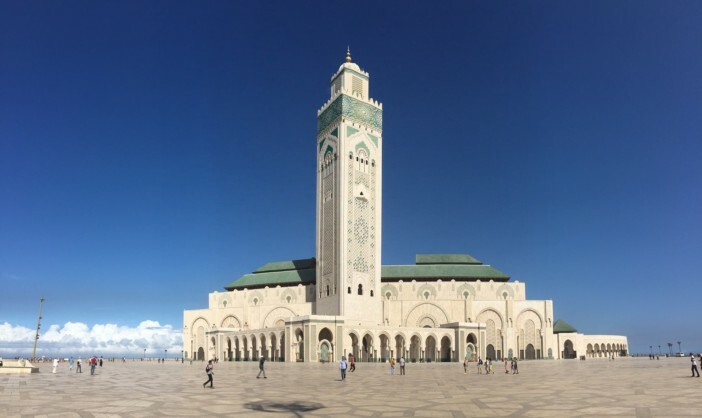 Visit the world’s second largest mosque, the Hassan II Mosque, which is one of few that allow non-Muslim visitors to enjoy a guided tour. While you’re in the area, head down to La Corniche, the beach front district that is home to some of the best shopping and dining in the city. Stroll along the beach arm in arm with your loved ones, or take your swimsuit and create a new festive tradition with a refreshing dip in the sea. Nothing could be further from a cold English afternoon spent arguing about which Christmas special to watch. After Christmas in Morocco, it’s time to head off for a luxurious week spent cruising around the Canary Islands, cocktail in hand. Lanzarote’s quaint capital Arrecife is the first island you’ll stop at, and the city has plenty to offer visitors, so don’t just head straight to the beach. Although the golden sand and palm trees of Playa el Reducto are tempting, you should also spend part of your day exploring the fascinating Castillo de San Gabriel and visiting the old town. The island has a wonderfully Spanish atmosphere, with locals enjoying a leisurely coffee and some churros outside every café in town. Pull up a seat and have a well-deserved break while you do the same. Next up is Las Palmas, Gran Canaria, a thoroughly modern little town with as much of an abundance of hipster hangouts as it has beaches. Take a trip to Pérez Galdós to sample the young, metropolitan atmosphere that is springing up in the city and enjoy a coffee at an independent café. 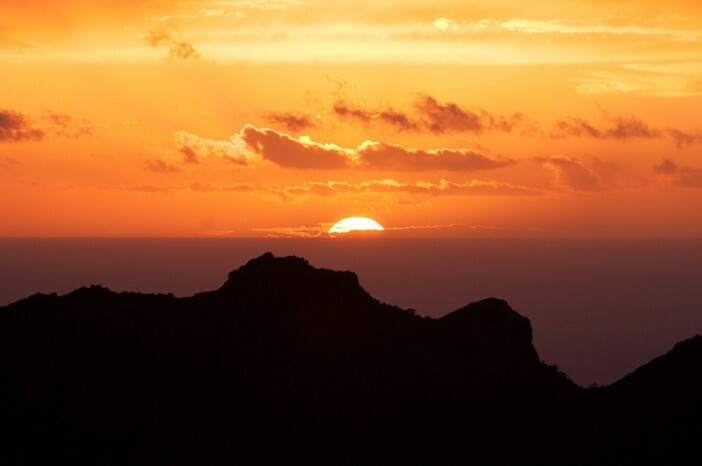 Alternatively, grab your swimming trunks and pick one of Las Palmas’ five stunning beaches to relax on. 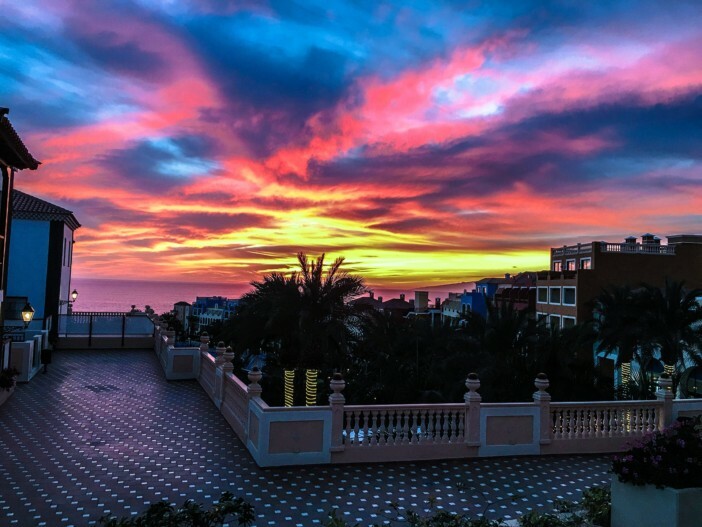 Santa’s Cruz de Tenerife is the next island you’ll be exploring and it has plenty to offer, including the sun, sea, and sangria for which it has become famous. The city is also packed with beautiful old buildings, atmospheric markets, and the wonderful Auditorio de Tenerife, which holds music performances that are as stunning as its architecture. 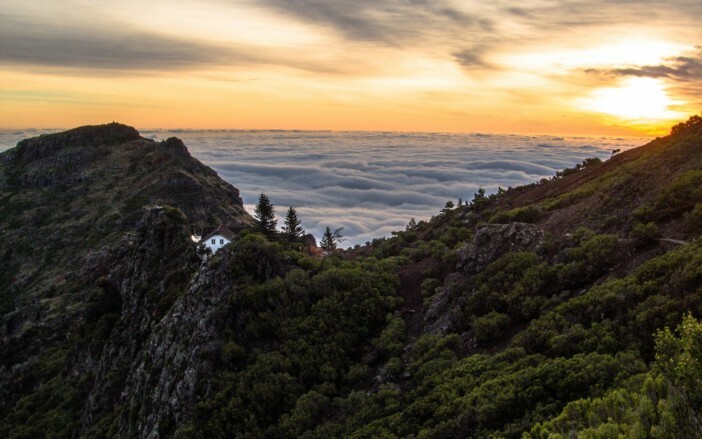 Bringing a slightly different atmosphere to some of the Spanish Islands, the Madeiran capital, Funchal is a stylish and sedate taste of 18th-century elegance. Explore the 15th-century Sé Cathedral and 18th-Century mansions or get yourself the best seat in the house with a trip on the cable car that looks out over the island. Malaga, capital of the Costa del Sol, is the penultimate island the cruise visits, with its historic buildings and thoroughly Andalusian charm. Explore Gibralfaro Castle, with its enchanting gardens and impressive 14th-century walls from which you can overlook the entire city. The Picasso Museum is also an essential attraction, to give you a real glimpse of one of history’s greatest artists in the city he grew up in. Lastly, Alicante makes the perfect final stop on this wonderful cruise, perched as it is on the stunning Costa Blanca coastline. It has all the attractions you could need, from the magnificent Castillo de Santa Barbara to the endless stretches of idyllic white sands. Head to Playa del Postiguet and order some delicious tapas from one of the beachfront restaurants to soak up some sun. Truly the perfect way to end this beautiful festive getaway. 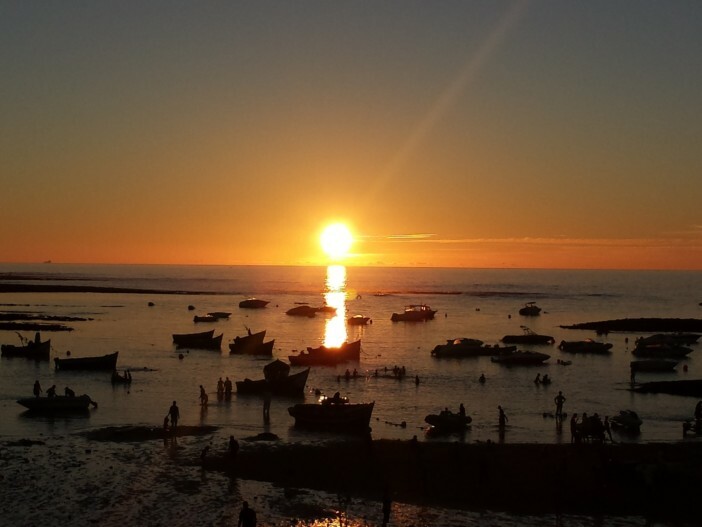 Check out our amazing Canaries and Casablanca cruise deal for Christmas 2018 - and treat your loved ones to a festive experience they'll never forget.